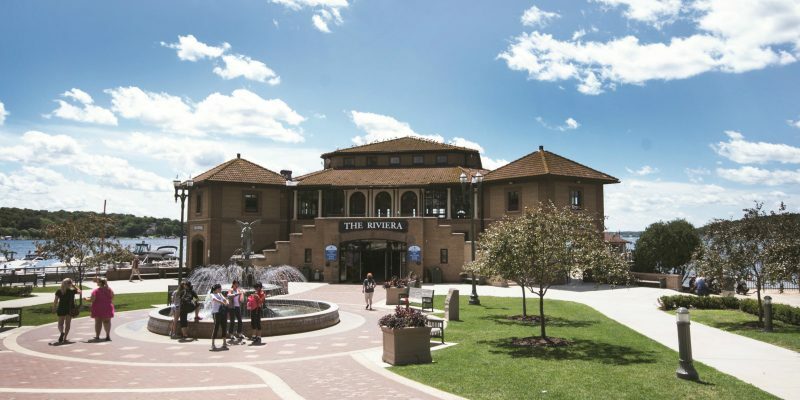 On April 4, 1932, in the worst days of the Great Depression, a large group of workmen gathered at the lakefront in Lake Geneva to begin construction on a major new civic building. 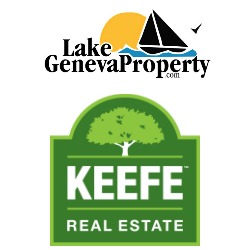 The project was funded by the city of Lake Geneva through the passage of a bond issue, with the intention of creating work for the men of Lake Geneva who had fallen on hard times. The local men as well as four expert pile drivers and an engineer — carefully drove the first pile into the lake bed to create a retaining wall upon which a cement foundation would be poured. This was the inauspicious beginning of the iconic civic recreation building now known as the Riviera. 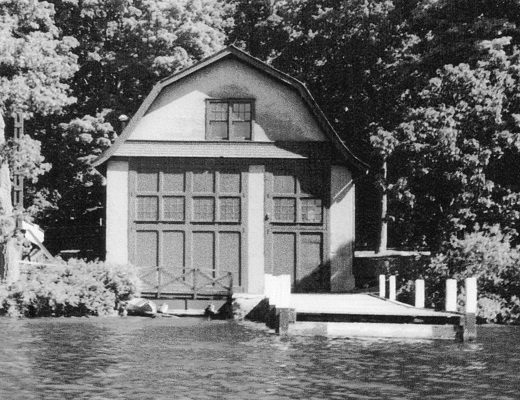 The foundation was the responsibility of a firm called Reinert and Malsch Cement Stone Manufacturing Company, and by the time of the Riviera’s construction, the business was a local Lake Geneva institution. Edward C. Reinert had formed the company with another partner, Fred Coleman, in 1901, specializing in cement, stone and brickwork, which included the manufacturing of concrete building material, a cutting-edge and specialized business at that time. 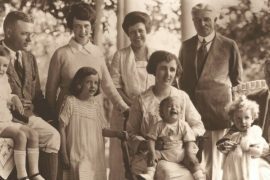 In 1906, Coleman left for California, and Reinert added two new partners: Herman Malsch and William Baumbach Jr., though Baumbach remained a part of the firm for only a few years before taking up farming. John Frederick Malsch, a German immigrant who received his certificate of stonemasonry in his native Germany before relocating first to Lyons and then nearby Springfield, where Herman was born in 1874. 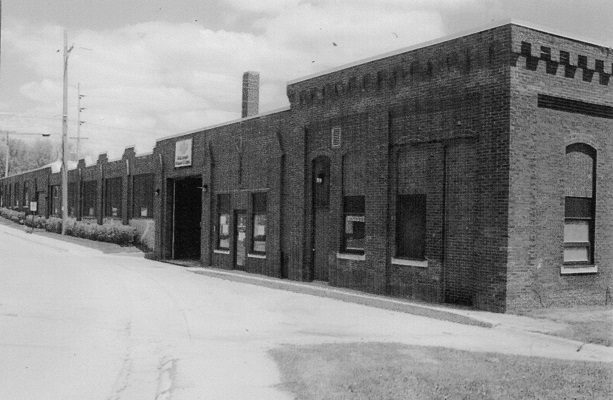 In their headquarters on Williams Street across from the Lake Geneva train depot, Reinert and Malsch manufactured concrete brick, concrete block and concrete tile for wells; sold sand and gravel for concrete; and maintained millwork manufacturing equipment to make window frames for their construction jobs, among other things. Button says that in addition to their expertise in stone and concrete, Reinert and Malsch also worked as general contractors on many projects. “They contracted and hired carpenters, laborers, masons, bricklayers, plasterers and painters,” she explains. 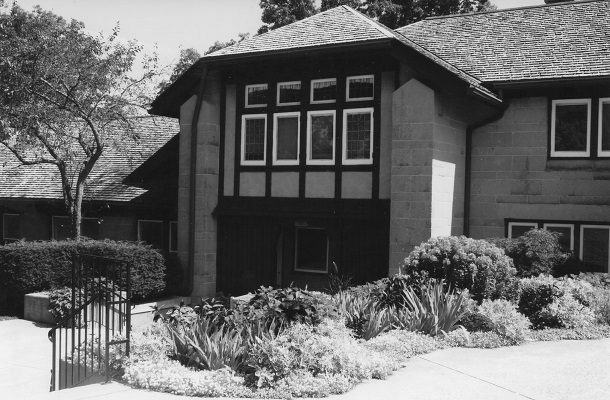 In 1911, the firm received the contract to build Lake Geneva’s Horticultural Hall, designed in the English Arts and Crafts style by architect Robert Closson Spencer Jr. 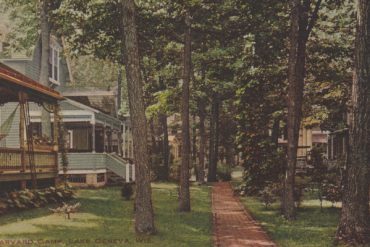 The hall was built for the use of Lake Geneva Gardener’s and Foreman’s Association, a professional organization for the groundskeepers of the estates around the lake. Reinert and Malsch’s team worked through the winter of 1911-12 with a goal to have the Hall open in time for the annual Peony Show in June. Newspaper accounts chronicled Horticultural Hall’s building progress: “The architecture of this building will be the panel effect, with rough cast finish. On the south will be a court 90 x 100, the walls of which will be cement block.” The paper went on to note that, “the cement is being mixed by machinery,” which proved to be “the first time a machine has been used on a building in Lake Geneva.” With this project, Reinert and Malsch were able to showcase their innovation in cement technology. Horticultural Hall opened as planned in June 1912 to great critical acclaim. 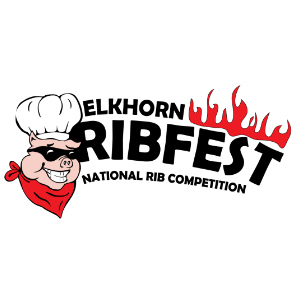 Today, it is listed on the National Register of Historic Places and remains a popular civic event space, hosting parties and weddings as well as a weekly farmer’s market in the summer. 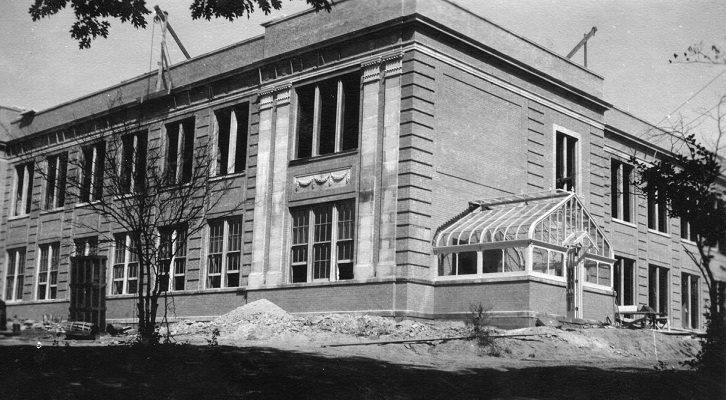 With Horticultural Hall, Reinert and Malsch had proved themselves to be efficient, forward-thinking builders. Three years later, this helped them win the contract for another Spencer-designed building, the second clubhouse at the Lake Geneva Country Club. 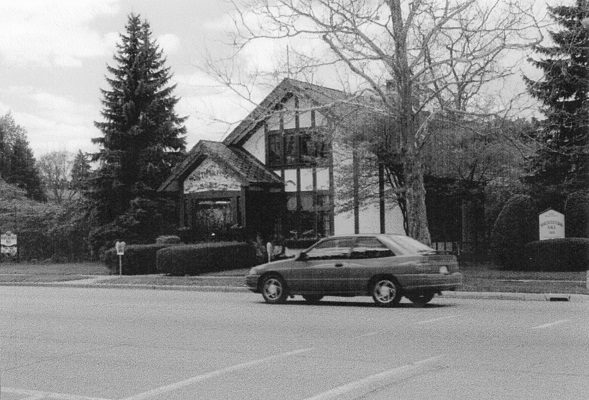 (The original clubhouse had been destroyed by fire.) Much like Horticultural Hall, Spencer’s design for the clubhouse featured an English Arts and Crafts influence. 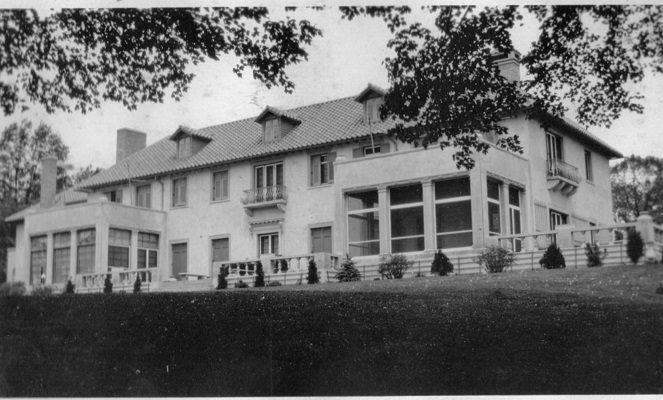 The horses and the men recovered from the ordeal, and the clubhouse was completed as scheduled in the spring of 1916. The country club membership hosted a grand opening party over the Fourth of July weekend that year. From its earliest days, the new building was acclaimed for its design and execution. During their nearly four decades of business, Reinert and Malsch maintained an impressively busy schedule, working on smaller jobs like concrete silos and well covers (many of which survive to this day), and much larger jobs, from private estates on the lake to public buildings like the Christian Science Church in downtown Lake Geneva. 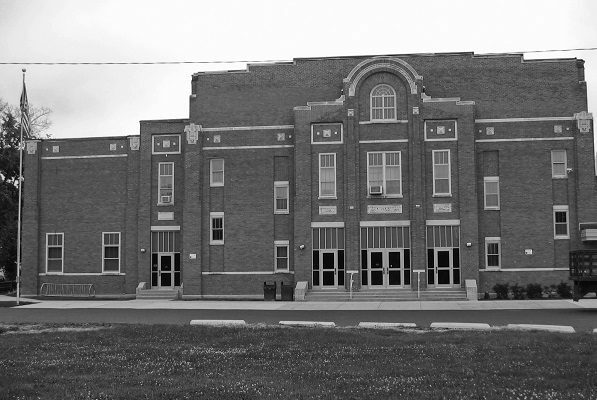 They also oversaw the construction of the new Lake Geneva High School building in 1928 (today it is the Denison half of modern-day Central-Denison Elementary School), though they were officially prohibited from bidding on the building contract due to the fact that Edward C. Reinert served on the Lake Geneva School Board at the time. 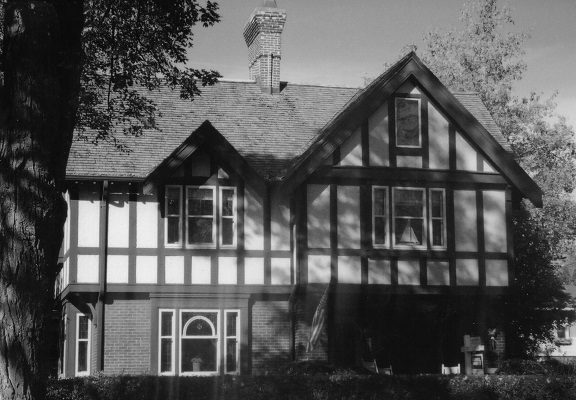 In the 1920s, as their reputation spread, Reinert and Malsch even began to expand their work beyond the local area to the Chicago suburbs of Lake Forest, Wilmette, Highland Park and Winnetka. Possibly in response to delays during the previous year that the city had encountered in building the Lake Geneva High School, Wisconsin Power and Light offered Reinert and Malsch an added incentive to complete the work on the maintenance garage quickly: they promised an extra $100 per day if the building was finished prior to a set date. However, for every day of work past that set date, Reinert and Malsch would owe the company a penalty of $100 per day. According to Button’s research, as the deadline approached, “Reinert and Malsch were waiting anxiously for delivery of the huge wooden roof support trusses from Milwaukee.” Luckily the materials arrived “just in time” for Reinert and Malsch to complete the work on the set date. Almost 90 years later, the trusses remain visible, creating a soaring, open experience to visitors of the museum. The city leaders were obviously pleased with Reinert and Malsch’s work, because three years later, they were awarded the contract for the foundation of the Riviera. When Reinert and Malsch’s team drove the first pile into the lake bed on April 4, 1932, it marked the beginning of what would turn out to be an indelible landmark for the city. A Lake Geneva resident named Harry Cocroft chronicled the progress of the Riviera’s construction week by week with notes and photographs. His notes tell a story of well-coordinated, industrious labor. According to Cocroft, by the end of April, all 287 piles had been driven into the lake, and part of the form for the pouring of the concrete foundation was in place. Similar to the Wisconsin Power and Light agreement, city leaders incentivized all of the contractors to work quickly. As a result, the building pace for the Riviera was accelerated, with the Reinert and Malsch team working Saturdays and even some Sundays. In mid-May, they increased their schedule to 12-hour work days. Evidently, the city’s incentives proved effective. On September 1, 1932, less than five months after the first pile was driven, the iconic recreational building then known as Northport (the name Riviera would be adopted a year later) hosted an informal opening dance. Today the Mediterranean Revival-style landmark has undergone significant restoration work and earned a place on the National Register of Historic Places. Unfortunately, Edward C. Reinert did not live long enough to see the Riviera become an iconic local landmark. He passed away in 1934, less than two years after its completion. Herman Malsch continued the business on his own for a few years, but Muriel Malsch believes that Herman retired around WWII and closed the Cement Stone Manufacturing Company. 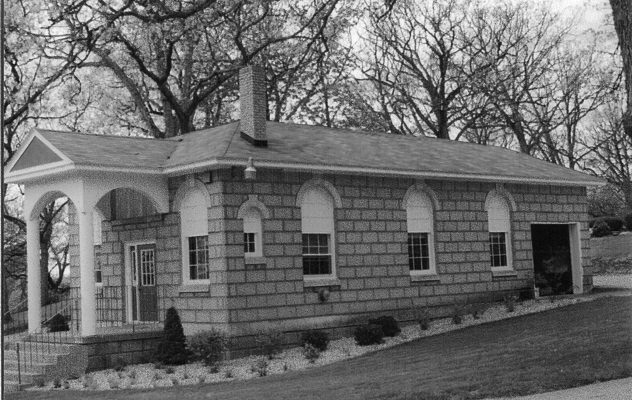 However, the many buildings they helped to create — several of them now local landmarks — remain a visible, timeless memorial to the expertise and hard work of an exceptional Lake Geneva masonry and construction team, Reinert and Malsch.